Please take a few moments to learn about our skilled practitioners and our friendly, nurturing staff. At Children's Center of Victoria, we consider it both a great joy and responsibility to care for children. Most of us are parents ourselves, so we strive to be understanding and available to the families we are privileged to serve. We are honored that you have chosen us as your child's primary medical provider and are confident that you will be pleased with the quality of care and service that we can provide you and your family. A vital part of our service to children begins with our outstanding staff who works hard to manage and maintain a professional, caring and supportive environment for our patients In a timely manner. Our doctors, NPs, and nurses are lifelong learners. Not only have they received advanced medical training in pediatrics, they continually pursue ongoing education to stay abreast of the latest in child health care. Your child's health is important to us as it is to you. We look forward to providing you with excellent pediatric care in the Victoria and surrounding areas. 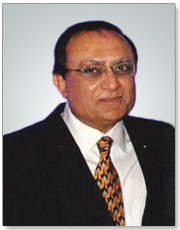 Dr. Dhingra has been practicing pediatric medicine in Victoria, TX for over 35 years. He received his M.D. from Medical College in Rohtak, India. He then continued his pediatric training in Chicago, IL, where he pursued a one year internship at the South Chicago Community Hospital. He completed his residency at Driscoll Foundation Children’s Hospital in Corpus Christi, TX. Sheila has been practicing nursing for over 28 years. She received her Associate's Degree from San Jacinto College and started her nursing career at Texas Children's Hospital in 1987 where she worked as an inpatient nurse for 4 years. During this time she attended the University of Texas Health Science Center-Houston and completed her BSN. She transferred to Baylor College of Medicine in pediatric pulmonary medicine where she worked for 14 years with asthma, Cystic Fibrosis patients and a variety of other pulmonary diseases and in Cystic Fibrosis research. She returned to school attending Texas A&M University-Corpus Christi where she received her Master of Science in Nursing and Nurse Practitioner in 2005. Before returning back to her hometown of Victoria, Sheila spent the last 9.5 years seeing pediatric patients at the University of Texas Medical Branch, Galveston based out of the Dickinson clinic.